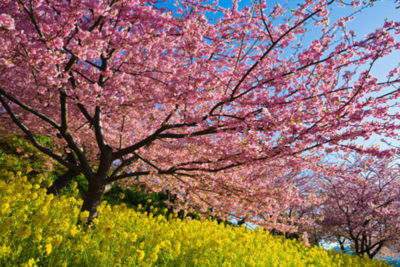 Take advantage of the UG holiday to visit Kawazu’s Cherry Blossom Festival (typically blooming between Feb-March). On the way, we will stop to pick some delicious strawberries and take a walk (approx. 1 hour) in nature to see the 7 waterfalls of Kawazu. Before returning to Tokyo, we will stop for sushi!